Delaware Trees – Putting trees first in the First State! 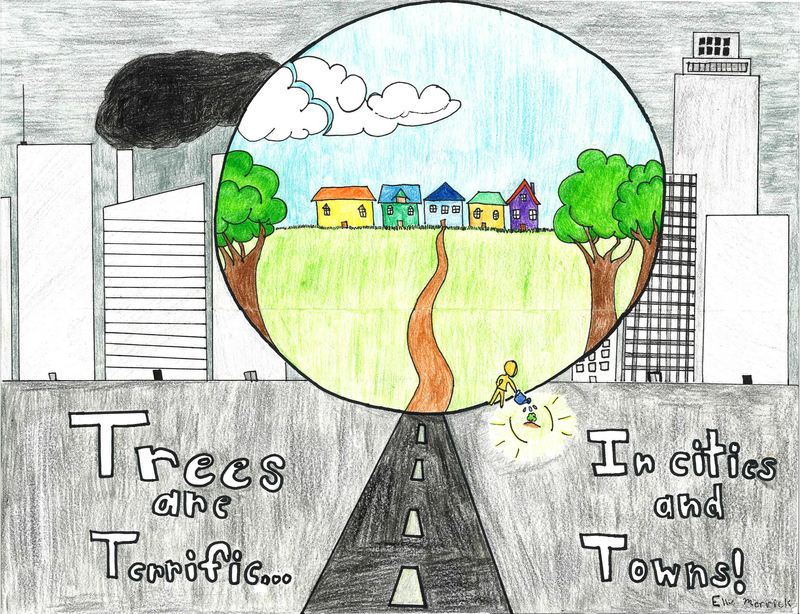 Ellie Merrick, a fifth-grader at Southern Delaware School of the Arts in Selbyville, is the overall State Winner of the Delaware Forest Service’s 2019 Arbor Day School Poster Contest. This year’s theme was “Trees are Terrific… in Cities and Towns!” — chosen to highlight the numerous benefits of trees in community settings. Twelve winners were chosen overall – one from each county (New Castle, Kent, Sussex) in the following grade categories: kindergarten, grades 1-2, grades 3-4, and grade 5. Winners receive a tree-themed book, a free tree planting ceremony at their school (courtesy of sponsor Delmarva Power), and an invitation to the State Arbor Day Ceremony with Governor John C. Carney, Jr. The gallery of winning posters are online: 2019 Delaware Arbor Day Poster Contest Winners. Ellie Merrick, a 5th-grader at Southern Delaware School of the Arts, won the Delaware Forest Service’s 2019 Arbor Day Poster Contest.